El Questro Wilderness Park is a privately owned Wilderness park that was previously a cattle station located in the Kimberley region of Western Australia. We took a day trip to El Questro from our base in Kununurra. You will need to purchase a Wilderness Pass for your visit and these are available from a number of places including Kununurra Visitor Information Centre, Emma Gorge or El Questro camping area. We started our day with a walk to Emma Gorge. Markers guide you on the walking trail to the Gorge and you will need good shoes and plenty of water. Take a towel if you want a dip in the cool water before heading back to the car parking area. The trail is about 1.6 kilometress each way and we used walking poles to help climb over the many boulders. Great scenery at the gorge and worth several photos. Next stop Zebedee Springs for a dip in the warm water. This is a popular place and can be crowded. We continued into El Questro to look at the accommodation options. There is plenty of shade around the main park and private camping spots can be found further along the river. Next time we will take our caravan and stay for a few days as the road into El Questro is very well maintained. The main homestead, overhanging the cliff, is only visible from a few places and it is very exclusive and quite spectacular. The restaurant at the main campground overlooks the river and we thought the meals were reasonably priced. Beside the reception and tour booking area is a small shop selling basic food supplies and souvenirs. There are a number of tours available or you can head off on one of the many self guided walking or 4WD tracks - maps are available from reception. The bar area has a snack menu available and plenty of shaded outdoor seating. 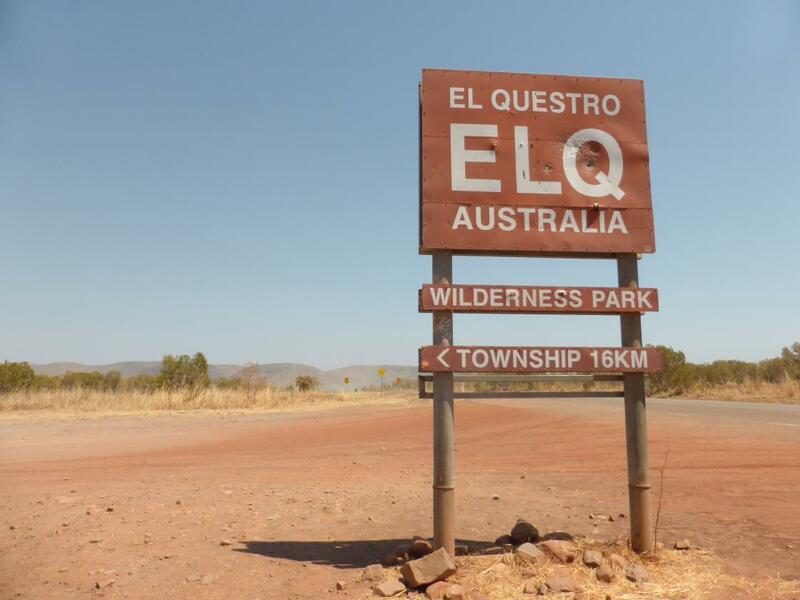 have you been to El Questro? Explore El Questro with RvTrips and find out where to stay, what to do and what to see. Helping caravan, motorhome and camper owners have a great holiday.